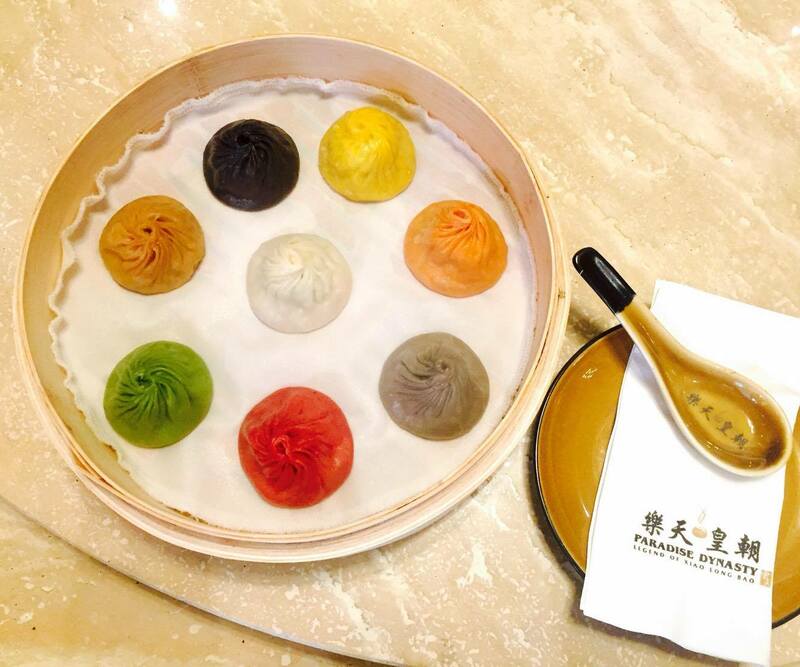 Its not just one but eight delicious variants of Xiao Long Bao to choose from at the newly opened Paradise Dynasty at S Maison Conrad in Pasay City. Xiao Long Bao is that world famous dumpling that has soup in it. 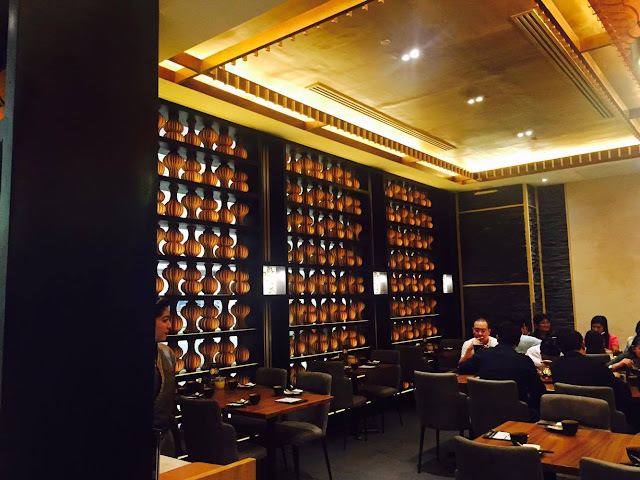 At Paradise Dynasty, aside from the traditional Xiao Long Bao, there's also black truffle, foie gras, garlic, ginseng, and cheese. 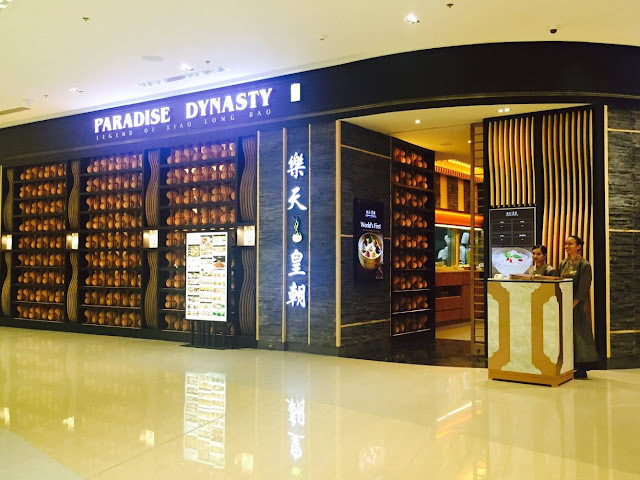 Paradise Dynasty first opened in Singapore in 2010 and has then expanded to Malaysia, Indonesia, Japan, Hong Kong, China, Taiwan, and now in the Philippines. 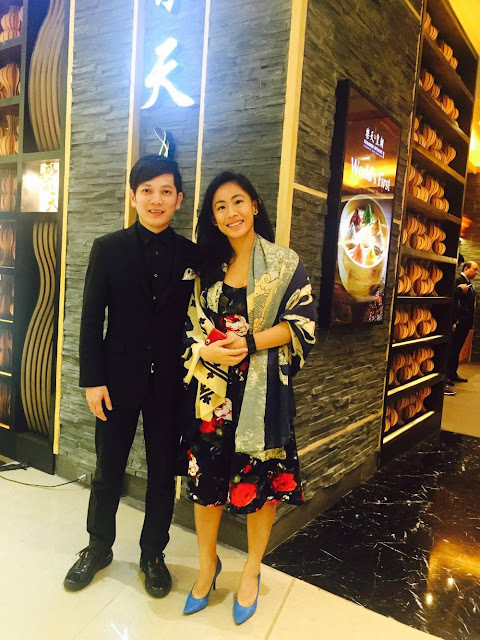 The restaurant concept was drawn from Eldwin Chua's frequent travels to China. He is the CEO of Paradise Group. Paradise Dynasty is a casual dining concept with really affordable selection of northern and southern Chinese cuisine. "With this new concept, we want to provide diners with a valuable dining experience that comprises affordable food in a mesmerizing setting located at a prime location," says Eldwin Chua. Eldwin and his culinary creative team is proud to have developed eight first-of-its-kind types of xiao long baos that will definitely tickle everyones palate. Aside from serving delicious and budget-friendly food, the Paradise Dynasty restaurant's interiors are also a feast to the eyes. Pork Dumpling with Hot Chili Vinaigrette, P168. I love this dumpling because no need to make a dipping sauce- hahaha. 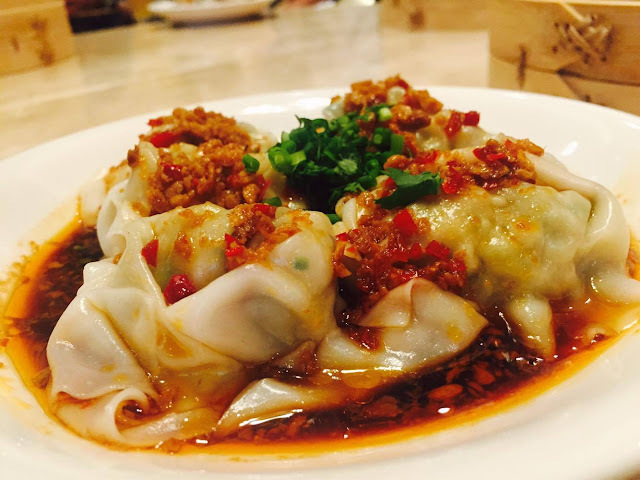 The dumpling is also very flavorful and if you want to pair this with rice, go ahead. 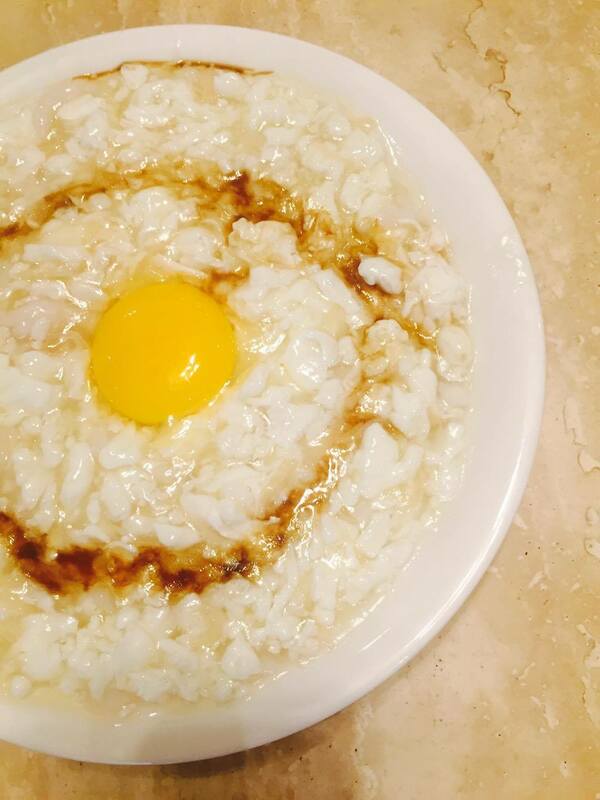 Scrambled Egg White with Fish and Conpoy, P328. This dish has quite an interesting history. 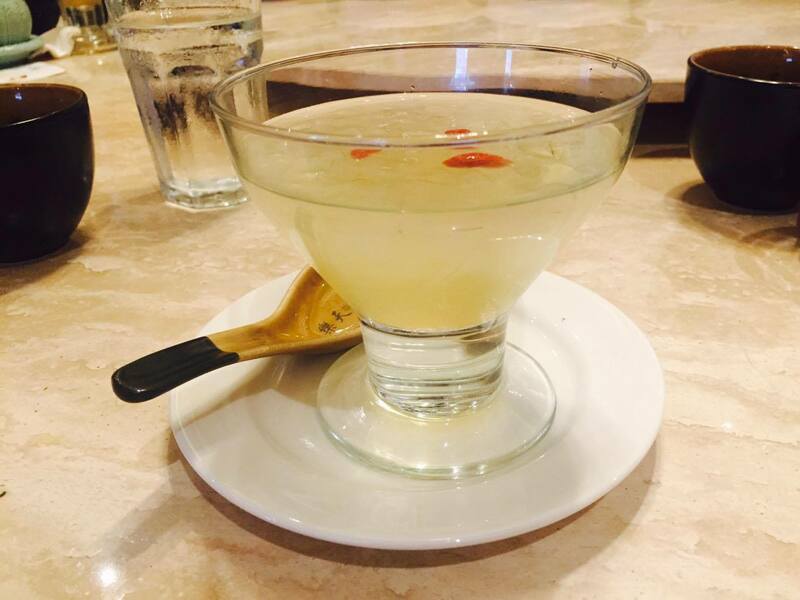 It is said that the Emperor of China was so fond of crab dishes that his cook was able to develop a dish that tastes like crab even if it is not crab season. This dish is also popular with the elderly who loves to indulge in crab but can't eat real crab dishes because of health reasons. And you'll really be surprised because it actually tastes like crab. Radish Pastry, P138. This is l-o-v-e at-first-bite and up to the last bite. I am not really fond of radish cakes so I was a bit hesitant to try this but I'm glad I did. 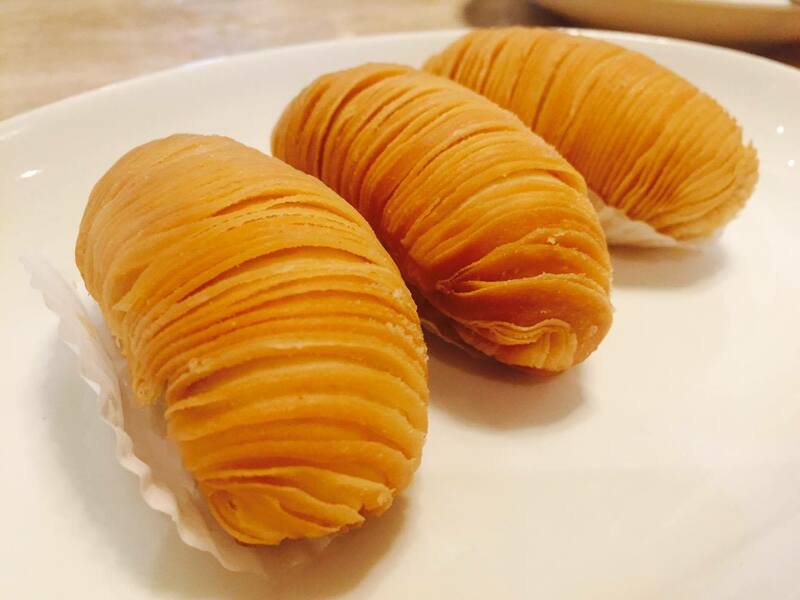 The pastry is flaky and has deliciously-soft radish fillings. It is also not oily so it is okay to use your hand to eat this. Hard to use chopsticks lah! Steamed Glutinous Rice Stuffed in Red Dates, P230. Another love-up-to-the-last-bite. 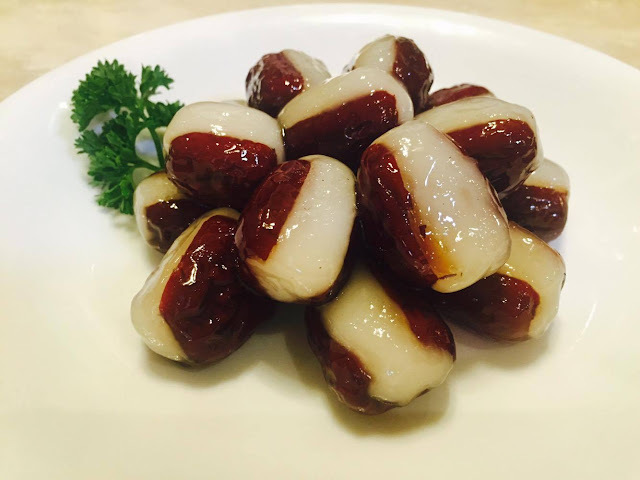 Okay, I don't eat rice but I can't say NO to dates. And it was so good, I had another one. It is sweetened just right and juicy. Must try at Paradise Dynasty. 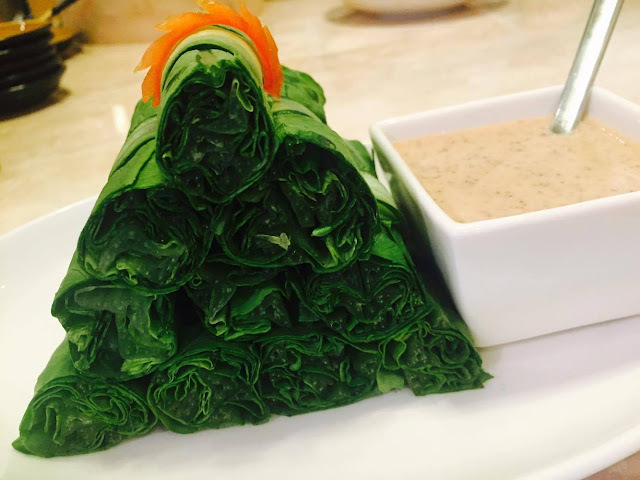 Lettuce Roll with Homemade Sesame Sauce, P180. I was too busy eating the dates that I missed this ... anyways, everyone on our table are saying "oohs" and "ahhs" over it so I take that as a good sign. Stir-fried Shredded Pork in Black Bean Sauce with Chinese Crepes, P288. This is like eating Peking Duck except that it is pork. 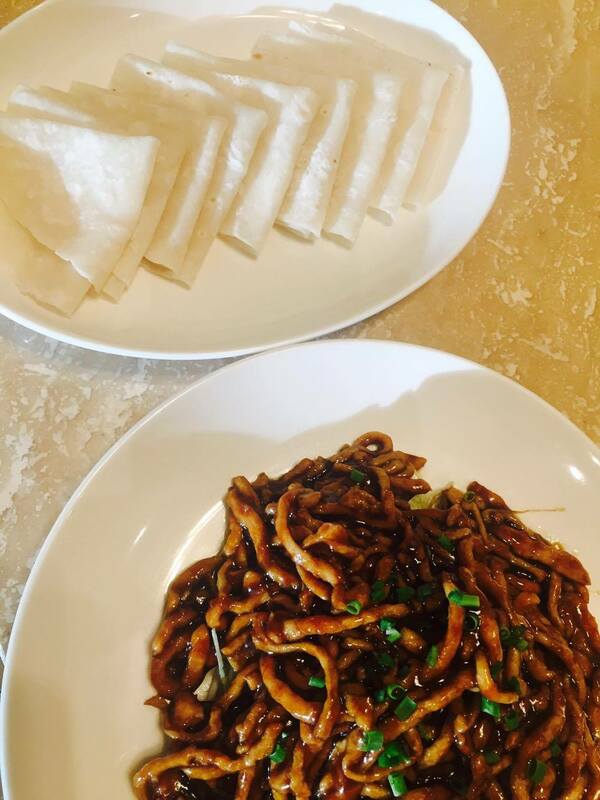 And had the server not mentioned that it is stir-fried shredded pork, I would have thought that we are being served noodles. 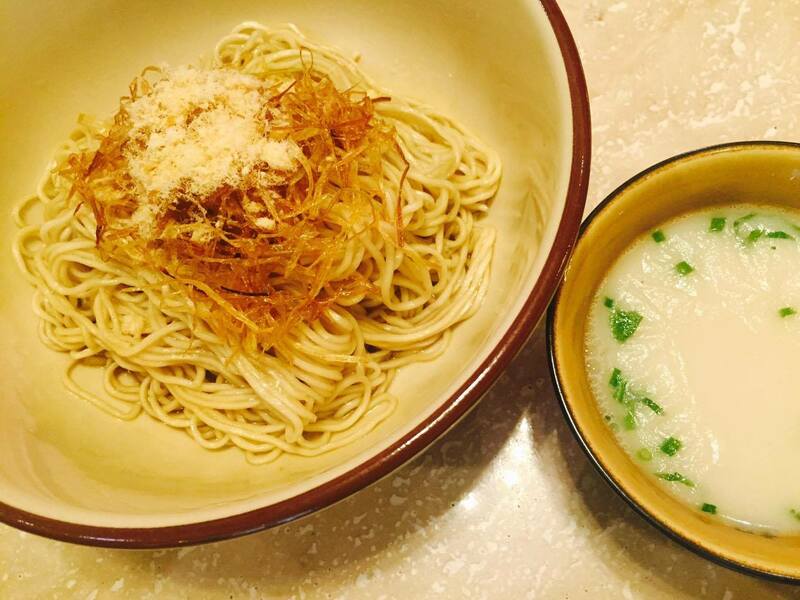 Thickness is similar to lomi or udon noodles, just to give you an idea. And it was also delicious. I know I've said delicious again but it really is. It has Hoisin sauce and some scallions to balance out the flavors. La Mian with Scallion (Dry), P200. This is similar to Hong Kong's famous stir-fried noodles. I love this since noodles are my carb substitute to rice. Loving the broth that came with it, too. 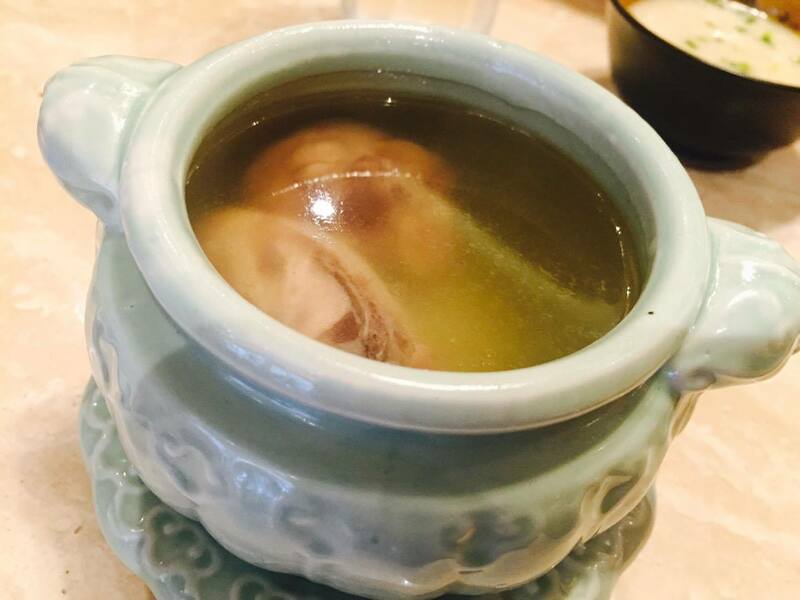 Double-boiled Chicken Soup. In your usual restaurants, soup is served first but at Paradise Dynasty, they suggest that you have it at the end of your meal (before dessert). This is a healthy chicken soup that has really clean chicken flavors and none of that chicken oily-ness. You can add some chili sauce for some added kick if you like but it is good as it is. Chilled Aloe Vera in Osmanthus Honey Juice, P100. I didn't know that I'll enjoy this Aloe Vera dessert. Visions of green aloe vera dances in front of me but this is what was given to us. The aloe vera is similar to jelly and doesn't have any smell or funny taste. I love how it is mildly sweetened because it means that they want their diners to enjoy good and healthy dishes. 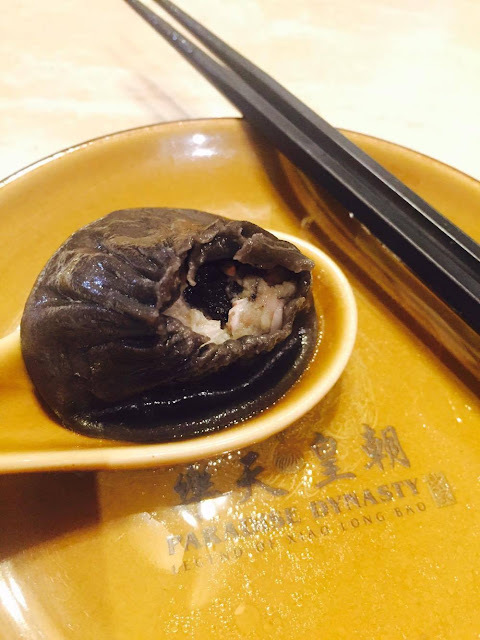 And here's my first taste of Paradise Dynasty's Black Truffle Xiao Long Bao. Heavenly! I love the smell of truffle and how deliciously-good it tasted. I think I can finish a whole order of this!